It's bigger, more powerful, and more economical than others in its class. But is the Lexus RX better? Owning a large car used to mean that you were polluting the environment more than small car owners. However, Lexus changed that when it released an RX with hybrid power. Now, in its fourth generation, the RX’s raison d’etre remains that it is a hybrid SUV. This means that it has big car looks and rugged additions such as four-wheel drive, plus a hybrid system, which can shut off the petrol engine and just use electric power to reduce emissions, or work with the petrol engine to achieve better mpg. If you haven’t seen one on the road, it’s similar in size to the BMW X5, Audi Q7, and Volvo XC90 but doesn't offer the option of seven seats. Although SUVs are pitched as rugged, they rarely need to be. However, the Lexus RX is only available with four-wheel-drive from new, which improves traction in low levels of grip, like on snow and mud. Ruggedness is in the eye of the beholder of course, and this Lexus certainly shares characteristics with the Vin Diesels of this world. Primarily, a chiseled jawline - the front overhang is very sharp. It’s a divisive design but if you’re in the market for a big SUV, you may well love it. F-Sport specification cars wear 20-inch alloy wheels, which sound big, but don’t look obscene on a car this size. Available colours are virtually all monochrome (except for a red and a blue) to suit the business/premium sector that Lexus is in. It’s business-class like inside, too. The interior quality on the Lexus appears to match Audi and Mercedes. The driver’s seat moves backwards when you get out of the car, then when you sit down and press the starter button, it electronically slides you forwards to your preferred position. An optional head-up display shows your speed and sat-nav directions on the windscreen (transparently). The system that controls the media screen is a scroll-wheel that is a halfway house between a mouse and a traditional button. It’s fiddly to use and will take you hours to get used to. The typeface on the media system looks dated too. There's also one other interior flaw: it's not quite up to Lexus' usual standards. This year's Auto Express Driver Power customer satisfaction survey reports that one in five drivers have experienced problems with the car, and the most common issue was interior trim faults. Although these didn't cause a breakdown, and most owners remained satisfied with the car, the RX was only ranked 18 out of 75 for reliability. The previous-generation, built until 2015, finished first. The RX's automatic gearbox is a CVT which means that it doesn’t use gears in a traditional way. Day to day, you won’t notice this, and this type of CVT is less harsh than ones used in other cars. However, when you’re accelerating hard you’ll notice that there’s just a continuous acceleration noise without the highs and lows of a car making its way through a rev range. The RX is more about smooth driving than thrashing down country lanes anyway; it never feels that fast or sporty and if you go enter a roundabout too quickly, you will notice some lean from the car. It's worth noting that the RX is also not as economical as some of its diesel-engined rivals. Real world figure testing suggests that you can eke out around 40mpg, but our testing put it at more like 30mpg. Diesel powered Audi Q7s and BMW X5s on a similar mixed driving route would expect more like 34mpg and 38.5mpg respectively. Where it does excel, is in the ride. It glides down busy streets, potholed roads, and tired motorways with ease. The quiet engine (when cruising at a steady speed) teamed with this fine ride, makes it one of the most relaxing and comfortable cars in its segment. If you value comfort over speed in your SUV, we'd recommend this over others in its price range. Thanks to its clever hybrid system, that can work solely in electric only, or work together with the petrol engine, it should get around 42.7mpg (real world) - which is still pretty impressive for an SUV of this size. It’s pretty hard to make a case for the smaller engined Lexus. It’s a 2.0-litre petrol turbo engine, and although it’s cheaper to buy than the RX450h, it’s less economical, slower, and is very stretched for a car for this size. In fact, Lexus stopped selling it in September 2017. 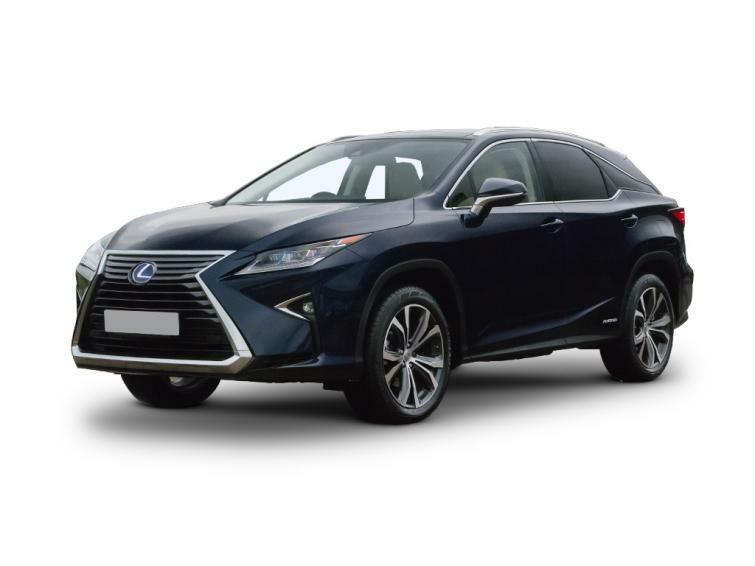 • January 2016 New generation of Lexus RX delivered to UK customers. • September 2017 Lexus discontinues 2.0-litre petrol engine. • 2018 New Sport model joins the lineup with 20-inch alloy wheels. The larger the number, the more power, so the entry-level RX 200 doesn't have the performance of the RX 450. The small 'h' indicates that the car has a hybrid system. The trim level indicates the standard and quantity of equipment. F-Sport denotes that it is second to top, and has distinctive 20-inch alloy wheels. Engine choice in the RX range consists of two models - and one of them was discontinued in September 2017. This discontinued model obviously can’t be bought from new, but can be bought used. It’s a 2.0-litre turbocharged petrol engine that makes 237 hp. It’s a tough sell as it’s less economical, and slower than the 3.5-litre V6. The 3.5-litre V6 (as found in the RX450h) has an inbuilt hybrid system. This means that it has an electric motor, which can go 1.2 miles on its own accord, or the electricity can be used in conjunction with the engine. This means in commuter traffic it’ll run on just electricity, which is good for the environment, and is near - silent, which is good for you. Lexus claims a combined 50.1mpg, but real world testing it works out closer to 40mpg. The Lexus RX450h comes in four different trim levels. Lexus is a premium brand, and its standard levels of equipment are generally very good. Standard equipment includes some things you wouldn’t find with cheaper cars, such as sat-nav and cruise control. Safety systems such a lane departure warning, lane keep assist, and traffic sign recognition are also standard. SE is the most basic trim, and adds only a few optional extras, including a CD player, electric mirrors, and leather seat trim. The biggest change with the Luxury spec is the addition of an electrically operated tailgate. This can be operated by a button inside, or by a button on the key fob. Luxury spec cars also benefit premium navigation bundle, including DAB, parking monitor, and a 12-speaker audio system. Upgrading to F-Sport gets you massive 20-inch wheels, perforated leather interior, as well as bespoke F-Sport instrument panels and door illuminations. Luxury is the biggest spec and pretty much has everything on it. With this you get a 15 speaker set-up, blind-spot monitor, as well as a head up display. All three of these are optional extras on the F-Sport too. Lexus has an enviable image relating to its reliability and it's well earned too, with earlier models awarded the title of Britain's most reliable car. The story for the current generation is a little different, as it finished 18 out of 75 in the latest Auto Express Driver Power survery, due to issues with interior trim rather than anything more serious. Owners aren't overly concerned either, as satisfaction scores are high and the car was rated the fifth best new car to own in Britain by the same poll. The RX comes with a three-year/60,000 mile warranty as standard. The hybrid system comes with an individual five year warranty/60,000 mile warranty. This fourth generation RX has been on sale since 2016 - this does mean that there are some used bargains to be had. There aren’t many 2.0-litre versions for sale, because they didn’t sell that well, so keep to the 3.5-litre V6. Top of the range Premier models can be found for sub £45,000 - that’s close to a £15,000 saving. These are typically just over a year old and have less than 7,000 miles on them. Lexus want their RX SUV to be rugged and muscular, and with this chiselled front end, they've succeeded. It's more aerodynamic than the previous RX - which means better MPG and less wind noise inside the car. Height is a lofty 1,685mm and width is 1,895mm. It's a big car, there's no getting round that. Top spec cars get an array of front and rear cameras to help you park though. The front facing camera is also useful for squeezing down narrow streets. The rear styling is less muscular than the front - but a well rounded piece of design nevertheless. Luxury specification cars get a smart tail gate - which means you don't need to use the key to open it. The tailgate can sense that you have the key on you, and will open with a button located just above the number plate. The interior of the RX is as well made as a swiss watch factory. The media screen feels a bit dated though. According to Lexus, Premier specification and upwards cars get the world’s largest colour head-up display. It projects key information and data at the base of the windscreen in the driver’s eyeline. For instance, speed and sat-nav instructions.